Last Monday we celebrated 6 months of being married. 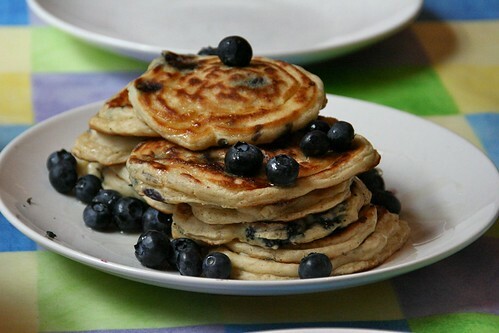 I made some Blueberry Pancakes for breakfast before we took a drive to the Brecon Beacons National Park. Mix together the flour, baking powder and a pinch of salt in a large bowl. Beat the egg with the milk, make a well in the centre of the dry ingredients and whisk in the milk to make a thick smooth batter. Beat in the melted butter, and gently stir in half the blueberries. Heat a teaspoon of oil or small knob of butter in a large non-stick frying pan. Drop a large tablespoonful of the batter per pancake into the pan to make pancakes about 7.5cm across. Make three or four pancakes at a time. Cook for about 3 minutes over a medium heat until small bubbles appear on the surface of each pancake, then turn and cook another 2-3 minutes until golden. Keep the pancakes warm in the oven (100 degrees C) while you use up the rest of the batter. Serve with maple syrup and the rest of the blueberries.